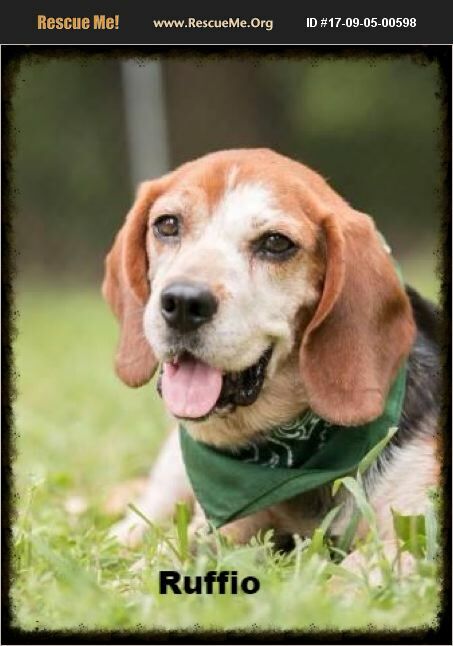 Ruffio is an older adult beagle boy at 7 plus. He is very timid at first but once he warms up, all he wants is a lap to curl up on. He is good with other dogs, children, and cats. He is probably not house trained as he appears to have been a hunting dog.